Look who came out to play in my Spring garden yesterday! 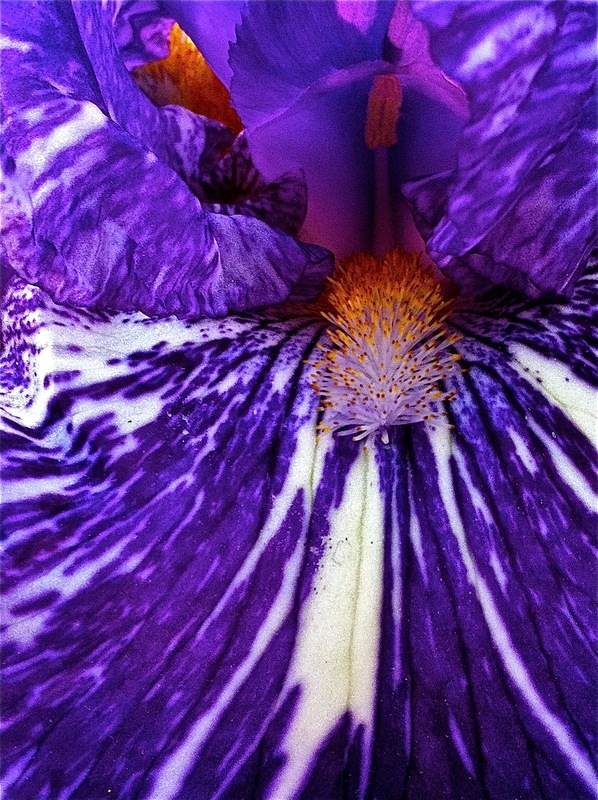 Award winning Iris germanica “Batik” is a dramatic, and I daresay, show-stopping garden plant that blooms Spring and Summer. Such a Drama Queen! I can’t imagine my garden without several of these flashy sword-leaved beauties featuring royal-purple flowers with random spatters and streaks of white on its standards and falls. In fact, I plan to add more to my garden each year. 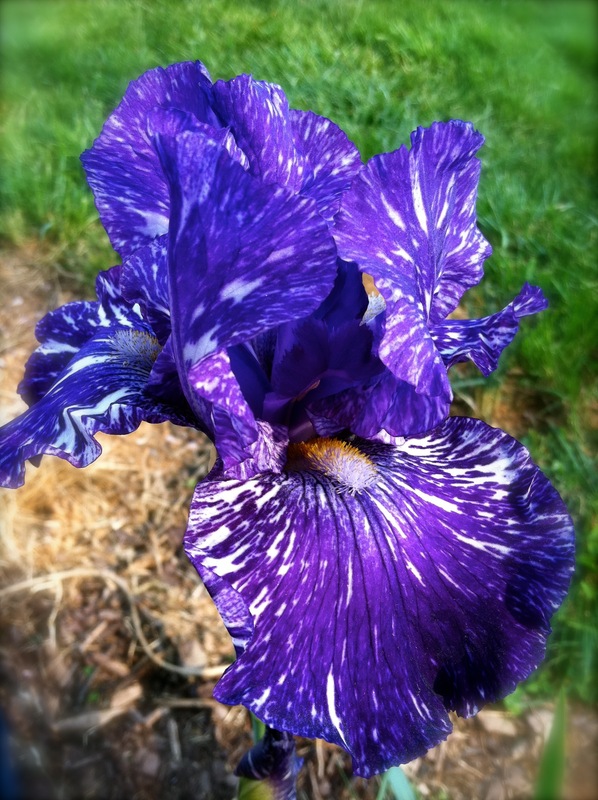 For an iris, “Batik” shows a rather conservatively sized yellow beard. Hybridized by grower Ensminger in 1985, the 26-36″ border bearded iris was awarded the American Iris Society Honorable Mention in 1988, the Award of Merit in 1990, and the Knowlton Medal in 1992. Like everything in my garden, this perennial plant is easy to grow and should return year after year. It likes sun, is drought tolerant and may be easily propagated by dividing rhizomes, tubers, or bulbs.